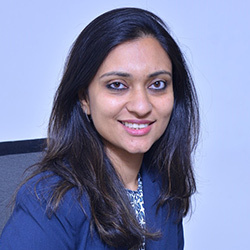 Anuja has a strong marketing and sales experience and has worked extensively across brand management, innovation strategy and sales development in organisations like Nestle and PepsiCo. She has led iconic brands such as Lay’s, Aquafina, Cheetos where she has led scale consumer campaigns and launched breakthrough innovations like Lay’s Maxx, Aquafina Vitamin Splash and Sting Energy Drink. Anuja currently leads 3 distinct categories of hydration, energy and functional beverages at PepsiCo. 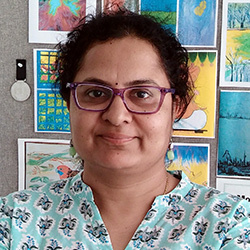 In a career journey over 12 years, Anuja has handled multiple assignments and brand challenges. 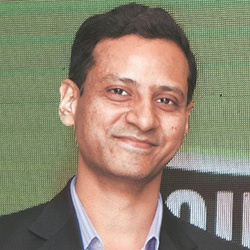 He is currently with Ola cabs as head of media and was previously with Microsoft India. He is a marketing professional with expertise in not only creating consumer facing communication but with complete knowledge of Media and key expertise across consumer understanding, touch point planning and optimization. Aspire to excel and innovate with relevant and delightful solutions, keeping pace with the ever changing consumer needs and behavior. Has not only proven his mantle at India level but has brought India a lot of glory in his field of media and advertising at a global level. Dibyajyoti Mahapatra has got 19 yrs experience in the industry in the space of Advertising, production, Intellectual Properties, Branded Content and Politcian brand building for the last 2 years. His professional journey has been through Balaji Telefilms, Contiloe, Madison, Mindshare, Fulcrum, Mediacom, Creative Landasia and others. Now, he is the co-founder of "Lamere" - a company which works in the space of Intellectual Properties for Govt and Corporate Houses and has worked with clients like HUL, ITC, Snapdeal to name a few. Lamere has worked in the branded content and activation space as well for above clients. They are strategic and creative consultant to various Govt initiatives like " Swachh Bharat" for various departments. 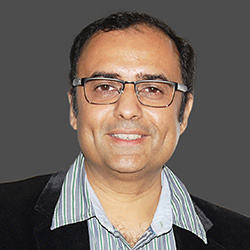 Kunaal Bhardwaj comes with over 15 years of experience in top agencies like Saatchi &​​ Saatchi, JWT, Havas among others where he has worked with various blue chip clients like Nestle, Frito Lays, Times Internet, Volvo and Dabur among others. He has also been instrumental in the launch of brand like OPPO mobiles in the country. 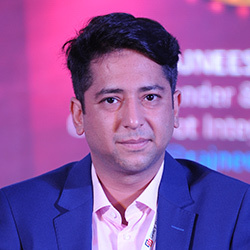 He was last working with Dainik Bhaskar as Head of Marketing and was spearheading the marketing initiatives and activities of DainikBhaskar.com and all other websites. 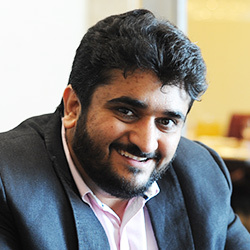 He was primarily focused on the emerging markets in India, user-acquisition, amplifying social footprint and market development. He currently heads the marketing department at ANN. 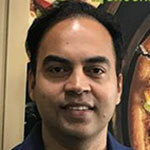 Prashant Gaur is the Chief Brand Officer of Pizza Hut (Indian Sub-Continent) a Yum! Brands subsidiary & a leading international pizza brand. 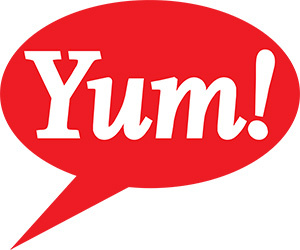 He joined Yum! Brands in 2015 and has over 15 years of experience in traditional and digital brand marketing. 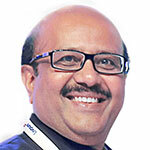 As the Chief Brand Officer at Pizza Hut, Prashant is responsible for leading the brand’s marketing function. As his interests transcend beyond core marketing, this has alsoresultedin him leading Pizza Hut India’s journey to build its technological and digital capabilities. Under Prashant’s strong leadership, Pizza Hut has been successful in achieving its vision of becoming the most loved & fastest growing pizza brand in the country. Prior to joining Yum! 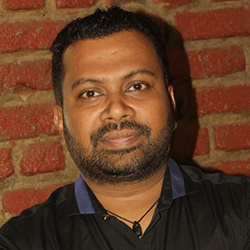 Brands, he was working as AVP – Marketing and Head - E-Commerce and Digital Marketing, at Dominos. 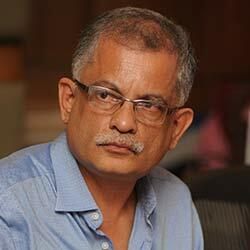 A seasoned marketer, Prashant has worked across industries and categories. 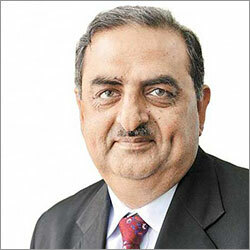 He has been associated with renowned brands like MTS Group, General Motors, Maruti Suzuki India and Technopak Advisors. Prashant completed his Masters’ in Business Administration from Indian Institute of Foreign Trade (IIFT). He is a fitness enthusiast & enjoys strumming guitar chords in his free time. 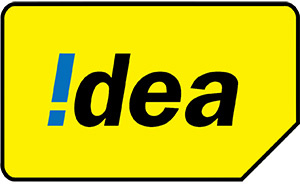 Subha is Vice President and Head of Media at Godrej Consumer Products Ltd. Alumni of MICA – Mudra Institute of Ahmedabad and specialises in Media Planning, Analytics, Buying and Multi-Media Campaign management. She’s passionate about the science of Media planning and consumer choices that drive business and in her current role manages multi-media campaigns for one of India’s largest FMCGs. Believes that the power of both intelligent planning as well as eye for detailed execution can never be overemphasized. Armed with an MBA in Marketing & Finance from Indian Institute of Management, Calcutta, Mr. Matey has 30 years of experience in brand marketing, sales and product/ category management. Known for his remarkable communication skill with strong business analytical and leadership skill to drive business and brands, he is currently heading Marketing as a Director with Livpure, a leading RO water purifier brand in India. 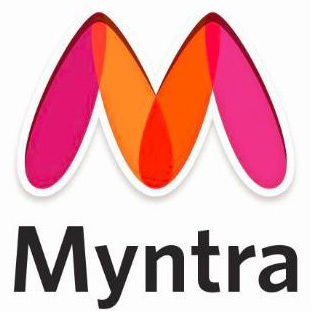 In this capacity, he is focussing on growing water and air purifier brand, the strategy and e-commerce. 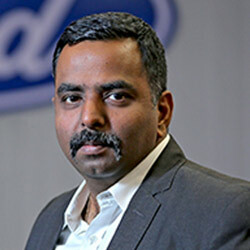 Mr. Matey, a professional who has managed business across Consumer Durables, Lifestyle Products, Automotive and e-commerce industry across brands has rich working knowledge in Brand Marketing, Product Management, Sales, Market Research, Media Management, Communication development, Project Management, and e-commerce. He has demonstrated exceptional abilities in conceptualizing, planning and executing sales and marketing strategies for augmenting revenues, profitability and gain market shares for various top brands and products. Before joining Livpure, Mr. Matey was working with H & R Johnson as Chief Operating Officer for over four years handling a diverse portfolio including tiles, bathroom products, modular kitchens, wooden flooring, wall papers, beds & wardrobes. As part of this assignment, he also handled the company’s association with M/s Nobilia of Germany for modular kitchens & M/s Rauch, Germany for Beds & Wardrobes, both of whom were represented in India by H&R Johnson. He was responsible for the management of the Johnson Brand and all product lines of the company. 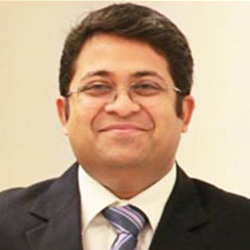 Mr. Matey, a B2B & B2C professional who has managed has a proven track record of turning around organizationss with his experience in GE – Godrej Appliances Ltd (as Senior GM & Head - Marketing & Sales), LML Ltd (as Vice President - Sales & Marketing), Masco Home Products, Detroit, USA (as Managing Director), Schneider Electric Co (President – Sales & Marketing). He has also been part of the Indian & international ceramics industry during his stints at India-based Nitco Tiles (as President - Marketing & Sales, Logistics, and China Operations), Euro Ceramics (as Chief Executive Officer). In his personal time, Mr. Sushil Matey is an avid reader of management books as well as spends time listening to old Kishore Kumar songs. He currently lives in New Delhi with his wife. His elder son works in the US and the younger one is pursuing computer science. 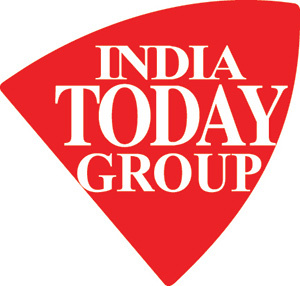 Vivek Malhotra, Group Chief Marketing Officer of India Today Group, leads the marketing and strategic planning divisions across the print, television and digital properties of India’s most respected and pioneering media entity. 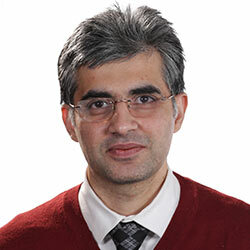 He also serves as a Technical Committee member on IRS (Indian Readership Survey), the largest continuous readership research study in the world, and is a leading member of the Technical Committee of NBA (National Broadcasting Organisation). 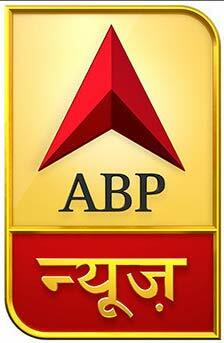 He also serves on the Technical Comitee of world’s largest Audience Measurement Survey ‘BARC’. 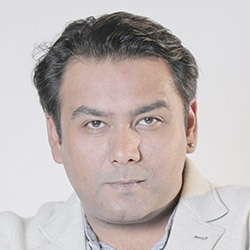 He has previously worked with India extensions of international brands like CNBC where he set up their Viewership Intelligence Unit – ‘The Edge’. As the former marketing head of Bloomberg, he was also closely involved in the channel’s entry into the Indian TV space. He has hands on experience across all verticals of News TV - namely Regional News (Marathi and Bangla for Star TV), English Business, Hindi Business, English General and Hindi General News. He additionally has centrally led a marketing team of an over 20 radio station network. Brand innovations and breakthroughs have come naturally to him, whether it be the sensor-led Singing Washrooms at ‘Kumbh’ for Safaigiri, LIVE election results on Outdoor, Augmented Reality Chats with Politicians in capital’s assembly elections or unique tie-ups with Barfi & Sultan movies, to name a few. He was also on the jury panel of many prestigious awards such as PromaxBDA 2017 India Awards, Promax Asia 2016, Singapore and E4M Neons OOH 2016.